When boosting home comfort and energy efficiency, insulating your crawl space is a crucial step. If you have unwanted crawl space humidity and moisture, then the SilverGlo™ insulating system from Global Dwelling is perfect for you. Our crawl space wall insulation seals your below-grade space in order to boost home comfort and to help lower your utility costs. SilverGlo™ blends extremely efficient graphite-saturated insulation with a built-in radiant heat barrier, providing continuous and reliable R-11 coverage in your crawl space! SilverGlo™ is an airtight, waterproof polystyrene insulation that assures your crawl space walls are moisture resistant. For a free quote on insulating your crawl space, contact us today! We serve Kingston, New Paltz, Albany and many nearby areas in New York. SilverGlo™ is a polystyrene foam insulation produced with graphite to improve overall performance by 24%. Coupled with a radiant heat barrier surface, it produces an insulation rating of R-11. This crawl space wall insulation can be customized to accommodate any special requirements or local code provisions, making it a multifaceted and efficient solution. If you're interested in keeping your crawl space dry, preventing mold, rot, and musty odors, then SilverGlo™ wall insulation is the product for you! With SilverGlo™, you will have an airtight barrier that keeps moisture from entering your crawl space, guarding it against mold, rot, and mildew growth. 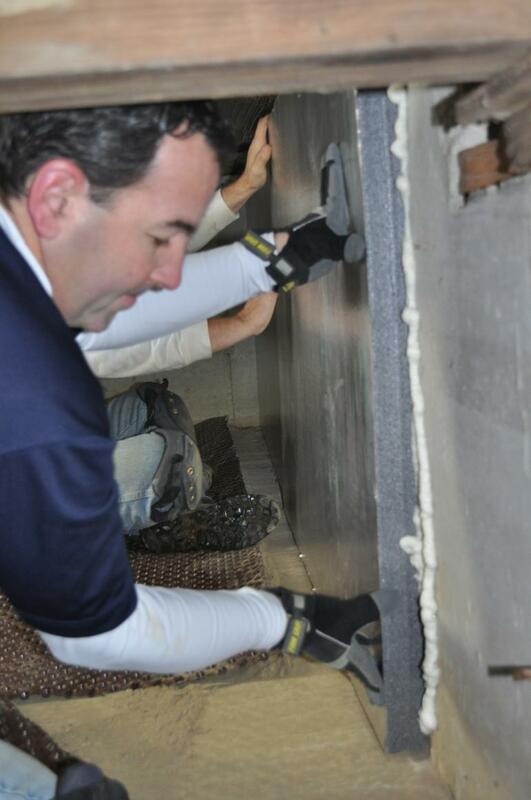 Learn more about our crawl space insulation services. Moisture-filled fiberglass insulation will grow mold and fall off the ceiling. At Global Dwelling, we have just what you need to improve your crawl space's security, efficiency, and usability. Our durable crawl space wall insulation keeps water and moisture out of your home, eliminating mold growth and other indoor air pollutants while boosting home energy efficiency and comfort. For a free crawl space insulation quote, call 1-844-831-8075 or click below to schedule yours in New Paltz, Kingston, Albany, Gardiner, Delmar, Wallkill, Stone Ridge, Milton, Saugerties, Hurley, and nearby in New York today!